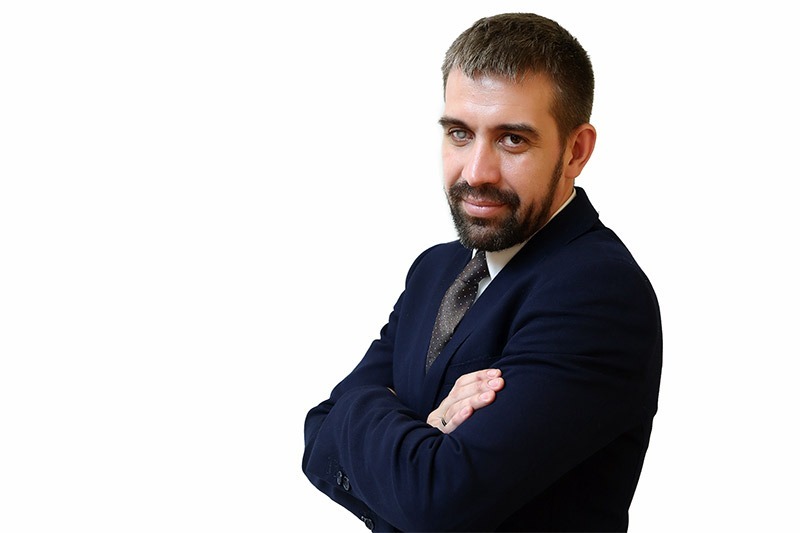 OpenGov interviews Janek Rozov, the Head of Department of Information Society Services Development at the Ministry of Economic Affairs and Communications in Estonia. Estonia is a pioneer in e-governance, the country’s systems being held up as a model for governments aspiring to go digital around the world. Mr. Rozov’s department is one of the central cogs. Could you describe your role as the Head of Department of Information Society Services development at the Ministry of Economic Affairs and Communications for Estonia? Despite our department being located under the Ministry of Economic Affairs and Communications, our tasks are cross-institutional, meaning that we are responsible for policy making in the field of public services’ development with ICT for the entire public sector. We are responsible for the development and standardization of public services and the establishment of user-friendly service environments. We are also in charge of giving out frameworks (E-services design handbook”, “Process analysis handbook”, “Integrated Portfolio Management of Public Services incl. Service measurement indicators and services description language”, “Framework for e-self service environment”etc. ), legal regulations and ICT investments. My team members and myself are part of the Public Sector ICT Investments Committee in the field of public e-services’ development. Additionally, our department runs a programme called “Creating interoperability solutions for public services”. The aim of the activities within this support scheme is to enhance the cooperation between authorities and to create interoperable public services that are related to life and business events that run across authorities, at the same time establishing preconditions for creating public services that are more accessible, user-centred, integrated and cost-efficient. What are your areas of focus for next 2-3 years? Can you tell us about recent or planned initiatives and projects? First, the implementation of the service owners concept – each public sector organisation has to establish a role (chief service quality coordinator) responsible for the quality of services within his/her domain. Second, creating a network of the chief service quality coordinators – our department will be responsible for the holistic coordination of this network. Also, the service quality KPIs (key performance indicators) – today we are lacking in information about the indicators that show the service quality across different channels. Thus, each public sector (central governmental level) institution has to start measuring all its important direct public services that it offers via different channels (e-channel, physical, phone, one stop shop etc.). We are continuing with mapping and describing public services in the service catalogue and connecting them with life and business events. Today, we have thousands of public services that are difficult to find for users. An event happens in a person’s life (marriage, new business, a birth of a child) and he/she has to use various separate services in different areas of the public sector. How do you measure the value of public sector service? How much of it is quantitative and how much qualitative? How are the results used? We created a tool – “Public Service Catalogue”- where each public sector organisation (central governmental level) had to describe services that they offer via different channels and add KPIs to each of the channels. This tool helps us to identify the “AsIS” situation before development and helps public sector organisations to plan changes and predict the “ToBe” situation. As I mentioned before, we are responsible for ICT investments in public sector, which means that public sector organisations that are planning to apply for ICT investments have to figure out what will be the measurable change for service users and for public sector organisation internal processes after the ICT investment. Can you tell us about what has been done or is being done for standardising government services? We have created a holistic overview of services offered by public sector organisations and published this on our webpage with information about KPIs. Our main principle in e-services’ development is to create them instead of physical channels. However, services in e-channels should really be easier to use than in physical channels (such as service at the bureau). E-services have to be with less administrative burden for clients and based on once-only principle. There is mention of Information governance on the ‘Information society services’ webpage. What are the associated benefits and challenges? Main benefits are that information society services create preconditions for supporting users as much as possible, while interfering as little as possible during the performance of their duties. Challenges are that we need people with new skills such as the capability to collect data, convert data, select data, combine data and use it in the decision-making process. What is being done to improve transparency for citizens? How is citizen feedback sourced? We have created a holistic overview of services offered by public sector organisations and published it on our webpage with information about KPIs. One of the KPIs is service satisfaction rate. Once a year or before and after e-services development, public sector organisations have to measure the satisfaction rate of their services and put information into our service catalogue which is available for everyone on our website. Mainly we use recommy approach for measuring the customer satisfaction rate (https://app.recommy.com/Default2.aspx ). What are the challenges faced in working and coordinating with many government departments and agencies? How do you overcome them? It´s a very difficult task to take on board all representatives of public sector organisations. For the moment, we can push our use-centric approach only by means of ICT investments mechanism. We are in the process of enforcing a regulation – “The Public Services Management and Information Governance Principles” that requires each public sector organisation to establish a role (chief service quality coordinator) responsible for the service quality within his/her domain. After that we plan to create a network of the chief service quality coordinators and our department will be responsible for the holistic coordination of this network. What are the major trends and developments that you think will have a significant impact on your strategy? What will be their impact? “My Data”, raw data and data ownership. Everyone can check how his or her data is used. Everyone can use data, which was produced during the use of the service (e.g. I use services from one shop and I have a client card there that collects information of the goods and services I bought. I decide to change shop but I wish to transfer all my client history to a new shop. Today it&apos;s impossible but tomorrow it should to be possible). Everyone can open and share data that is held on different state registers. For example, it should be possible to open my health data to insurance companies in order to get better contract conditions.